1. It takes a huge amount of time. Randonneuring is a sport that doesn’t require a lot of training. If you are a moderately fit cyclist and able to ride a century without much trouble, you can start randonneuring now. Every year, the brevets are in sequence. The 100 km populaire is great training for the 200 km brevet. The 200 prepares you for the 300, and so on. Even if you do a “full series” of populaire, 200, 300, 400 and 600 km brevets, that is only 5 rides a year. Most of them are one-day rides, with the exception of the 600. So your time commitment amounts to about 6 days a year, in addition to your normal riding and training. And if you don’t have that much time, you can just do the 200 and 300. 2. You have to be super-human to do it. Riding 600 km in 40 hours may seem beyond what average cyclists can do, but like so many things, it just takes a little training. You build up to it, just like you built up to your first century. Fortunately, nobody starts with a 600, and the 200, 300 and 400 km brevets are great preparation for the “big one”. And remember that these numbers are in kilometers. Translate a 200 km brevet into 124 miles, and it sounds more do-able straight away. 3. You need a special bike. Bicycle Quarterly has done a lot of research on what makes an optimized randonneur bike, but you can use any bike for randonneuring. One of my friends rode several seasons, including PBP, on a carbon-fiber LeMond (above). Another friend rode a 1980s Trek on many brevets, including a 24-hour Flèche Vélocio. You can ride any bike. A true randonneur bike will be a bit faster, quite a bit more comfortable, and probably more reliable, but you don’t have to have one. Unlike racing, where a poor bike choice will have you dropped on the first hill, randonneuring can be done on almost any bike. 4. It’s only for cyclists who are fast. 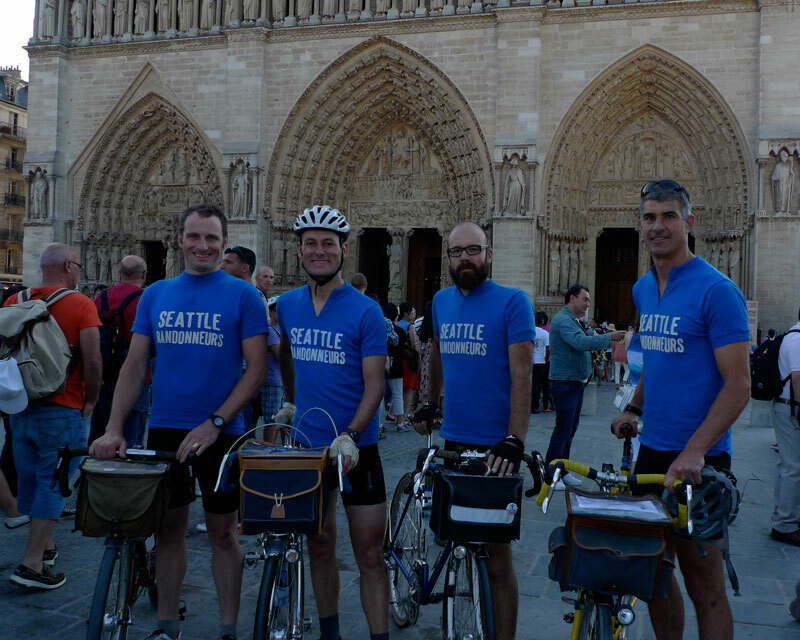 The most prestigious randonneur ride, the 750-mile Paris-Brest-Paris, requires an average speed of 8.3 mph (13.3 km/h). Most cyclists ride faster than that. Completing a brevet within the time limit has more to do with keeping your stops short and planning ahead than with riding fast on the road. 5. It’s only for cyclists who are slow. Randonneurs ride at all speeds. It’s not uncommon for the first riders to average 22 mph or more, while others ride at half that speed. Whether you like riding fast or slow, you’ll find plenty of company among the randonneurs. And unlike racing, there is no ranking, and no implication that the faster riders are superior to the slower ones. Compared to most sports, it’s remarkably cheap. Most brevets cost between $ 10-60 to enter. You can use almost any bike. You’ll need some money for food along the way. 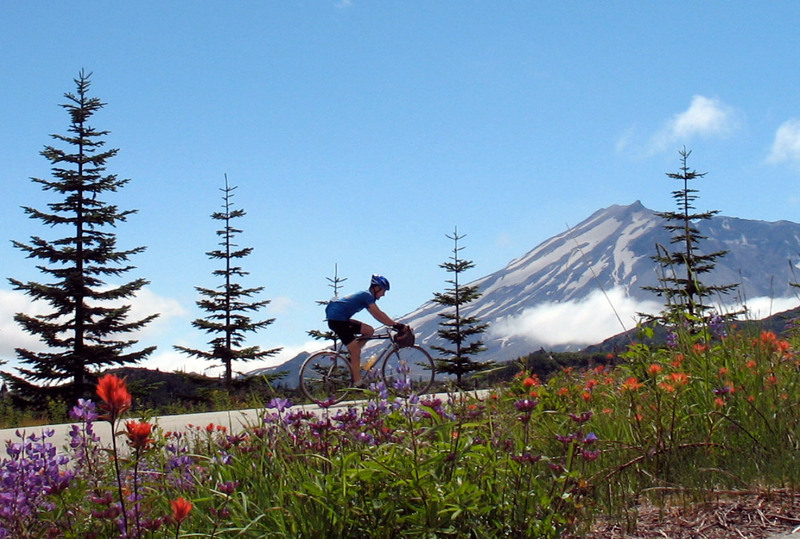 Assuming you have a bike, you could do a full randonneuring season on less than $ 300. It’s often best to pack your own food anyhow, since the food choices in rural America are limited (above). Sometimes you are lucky, though, and volunteers at a control serve homemade soup or chili! 7. It’s all about riding more miles. It’s true that most RUSA awards require you to ride more miles. But randonneuring is a big tent, and anybody can find their own challenges and joys. 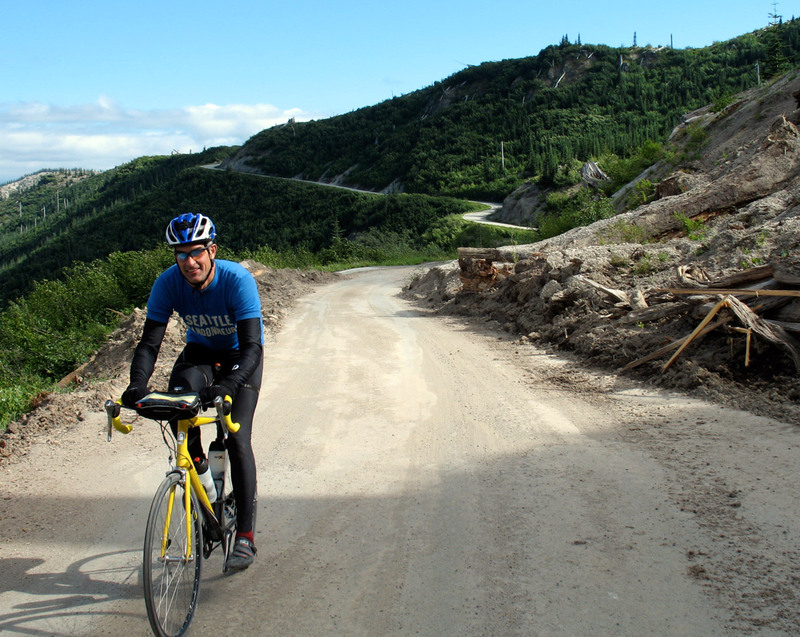 For some, it’s riding a 200 km every month of the year. For others, it’s reaching those mileage goals. Others challenge themselves to improve their personal bests through the Cyclos Montagnards R80/R70/R60 program. And yet others just enjoy riding with friends and discovering new courses. All are equally successful randonneurs. 8. Sleep deprivation is scary. Riding through the night is a new experience for most cyclists, but with a little bit of planning, there is no need to ride when your head drops and your bike veers. Many randonneurs sleep every night even during long rides. I find that after a long day in the saddle, I really enjoy riding at night. The glare of the sun is gone, the wind usually dies down, and the sounds and smells are different. There is much less traffic. And mountain rides under a full moon are unforgettable experiences. If I get sleepy, I pull over and rest for a while. 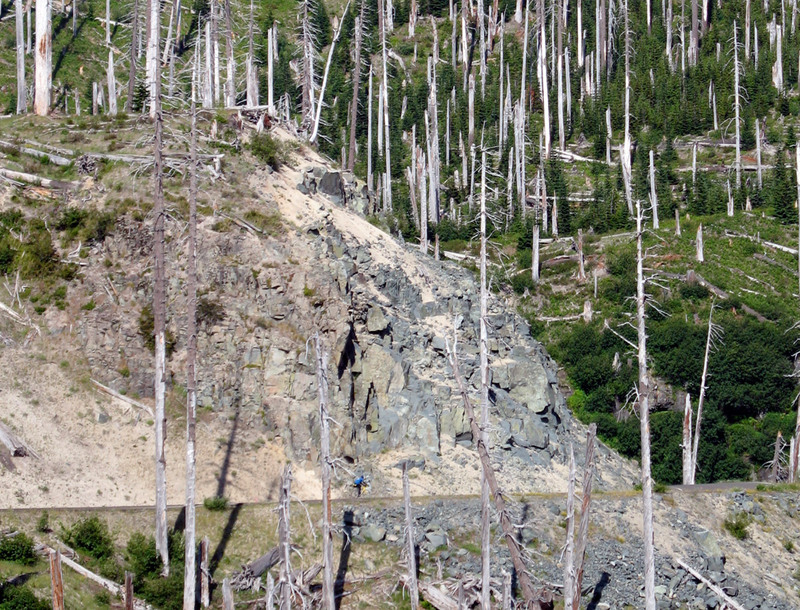 Like most activities, cycling can be dangerous, and randonneuring is no exception. There have been some accidents. In some cases, courses went on busy roads that see lots of drunk driving. Most organizers now try to stay away from those. A few riders have crashed when they became too tired, yet continued to ride. Most riders now know better than to ride when they are too tired to do so safely. So choose your courses carefully and don’t push beyond what is reasonable, and you should find that randonneuring is safe. 10. You need to worry about complicated rules. Randonneuring does have rules, but they all make sense: Obey traffic laws and don’t get lost or take shortcuts, and you’ve already covered 90% of what you need to think about on the road. The rules are on the books so that things are clear, and there are no ad-hoc decisions, but most of the time, riders don’t need to think about them. Here is what randonneuring is in a nutshell: Cycling with like-minded friends, on beautiful roads, while challenging yourself to ride better than you ever imagined. How you define “better” is up to you. Better can mean faster, more miles, more fun, more… or a combination of the above. Check the web site of the Randonneurs USA for more information about randonneur events. Jan, “no time to ride centuries” is one of those evergreen forum topics, almost on a par with Campy vs Shimano. Usually, the people posting ride at a pace that would give you a 5-6 hour century, and typically the gist of their plaint is that weekend chores and responsibilities limit them to 3-4 hours of free time. Also, you can’t exclude training from time considerations. Nobody rides even 200km rides without spending a good deal of time training, never mind a full brevet series. Also, for many even a 200km brevet necessitates a long drive to a remote location and an overnight hotel stay. It may not require “super human” abilities, but I’d say it’s definitely more than 1 standard deviation away from the norm. Most of the people who don’t have time to ride spend more than 5-6 hours a month watching TV (or reading blogs! ), so they probably could fit in a brevet if it was a priority. It’s not like my friends and I aren’t busy with work and families… Neither of us has time to watch TV! It’s a different matter if there are not brevets near where they live. In that case, the investment in time and money becomes more considerable. There is the option of starting a brevet series locally. Um, I ride 200k without training. The ride IS the training. I’m just not very fast. Unless you count riding every day to work, shopping, etc. as training – I certainly don’t think of it that way. I just love being on the bike, and an organized ride or two every year gets me to explore new routes with good company. A 200k is the perfect first long ride of the year, i.e. the beginning of your training. If you want to progress on to longer rides, what a great way to start. Daniel. The riding you are doing _is_ training, whether you think of it that way or not. If you don’t believe me, try going a month or two without riding at all-ideally, eat yourself silly during that period–and then ride a 200km. All of a sudden, 200km will be a long way to ride. It’s more useful to beginners to help them understand what they need to know, than to make it sound trivial so that when they try to do it the way you are describing it, they find it is not trivial and give up. I don’t think anybody is saying that you can hop on a bike for the first time and complete a 200 km brevet. But somebody who rides their bike regularly for significant distances – say a century or two every season – can start randonneuring without needing a huge amount of extra training. The concept of training is a different one in this sport. My training consists of just using my bike for transportation. I have been on two group rides in the last month but that is an anomaly. I sometimes refer to randonneuring as “bicycle touring for people with jobs”. Nice article. I’m not sure I agree about the time investment required. I hope Jan would agree that there is nothing wrong with “dabbling” – trying out one or two 100km or 200km rides a year and see how you get on. Sure, doing a series of rides or the longer ones requires a level of dedication, but even people with very busy lives will be able to set aside a few days or weekends a year for a ride taking up the best part of a day (or night!). I’ve yet to do anything longer than 200km but don’t actually think there is a great deal of training required for this distance (unless there is a lot of climbing …). Sure, there is a base level required and the fitter you are, the easier it gets but that applies to most forms of exercise. I’m fortunate that I can cycle to work most days and it clearly helps training if cycling is part of your routine during the working week rather than a separate recreational activity. I totally agree that there is nothing wrong with just doing 100 and 200 km brevets. Lots of randonneurs “specialize” – some prefer hilly courses, others flat ones, some like to ride permanents every weekend, others focus on a few memorable rides a year… I think you can call yourself a randonneur even if you never ride more than 200 km. Great post Jan. I use my commuting as my brevet “training” and it doesn’t feel like training at all. I’ve found that adding an extra 30 mins to my commute (and maybe an extra hill) in the morning gives huge benefits for the weekend rides and then flows on to brevets. In contrast to some of the comments above, I agree with you that a fit cyclist can ride a full series using only shorter training rides. My first year of brevets was done with a peak of ~100 miles/week of after-work rides as base miles, with a full brevet series then taking perhaps 5-6 extra days. I just looked over my last decade of mileage, and in one year with ~5K of brevet miles (including a couple 1200s) I clocked a total of only 5,000 miles. That ended up being maybe 1500 miles of “training” for the brevets. Riding brevets has taught me to take even long rides in bite-sized chunks. One of my brevet buddies often points out that “anyone can ride 100K”. That’s gotten me through some low times… When I’m 2/3 of the way through a 300, feeling down, I just tell myself that “anyone can ride 100K”, and it’s true. Even tired, wet, and cold, most of us can pound out 62 miles without too much trouble. Yes, great post. I hope there is a good contingent of Seattle Randonneurs this year for the PBP. As someone that only started randonneuring last year, I think this list is good, but maybe a few points don’t match my experience. Randonneuring itself doesn’t take a huge amount of time, but I certainly wouldn’t consider riding above 200km if I wasn’t riding at least about 10 hours weekly. Part of this is just saddle time, and getting used to dealing with and overcoming any issues that may arise (maintenance, saddle comfort, learning what hand positions you need after 100 miles, etc.). For people that frequently commute, or go on group rides throughout the season, adding in a 200k or 300k shouldn’t be terribly difficult though. Sleep deprivation stories are an awful deterrent. I was hesitant to get into randonneuring because most rando stories I heard involved bad decisions made because of sleep deprivation. And then in 2014 I rode about 4000km randonneuring and never encountered an issue with it, simply because most rides start in the morning and end at night. 200/300ks are often finished before dinner. 400ks go late into the night, but still end before the time I’d typically be going to sleep. My 600km was split in two days, and I slept 7 hours between them. My 1200km ride was the toughest, but I still averaged 5 hours of sleep per night. The fleche was the only overnight ride, but I had a 1.25hr nap at 2am, and the pace is easier to manage when we’re aiming for ~360km. I like to ride at night and have had a good time doing so. I’ve done 3 600Ks and 4 flèches without sleep, and… it’s great! Familiar landscapes feel new, the stars come out on clear nights, and if you’re riding during a full moon, there’s nothing like the quality of moonlight far from any city light pollution. Paying attention to your energy levels and alertness is important. Several riders I know have benefited from some caffeine at night and even more have benefited from short naps (you can also combine the two). And if you can find a riding companion who talks a lot, that helps, too. This summer the Seattle International Randonneurs will be hosting a night start 400/1000K (distance options with a common start and shared routes up to a point) which is a great opportunity to try riding at night. Finally, I would add one thing to your list: One need not fear riding at night. It can be so much fun! So quiet, fewer cars, and here in Virginia a nice respite from hot days. I agree about riding at night. It can be magical. Absolutely, particularly if it is a clear night and you are riding east and see the transition from black to the twilight before dawn to sunrise. Training during my best year, was primarily commuting nearly every day, about 12 miles per day. Once a week I made it a 25-40 mile ride home. I had two little kids, and this strategy took little time away from them. Out of curiosity, is there a reason why you don’t ride events much? I noticed that your RUSA results show just one brevet and fleche last year. Last year saw me break my hand and travel to Japan twice. There also was the Oregon Outback, the Bicycle Quarterly Un-Meeting… lots of randonneuring, but not much time for RUSA-sanctioned brevets. 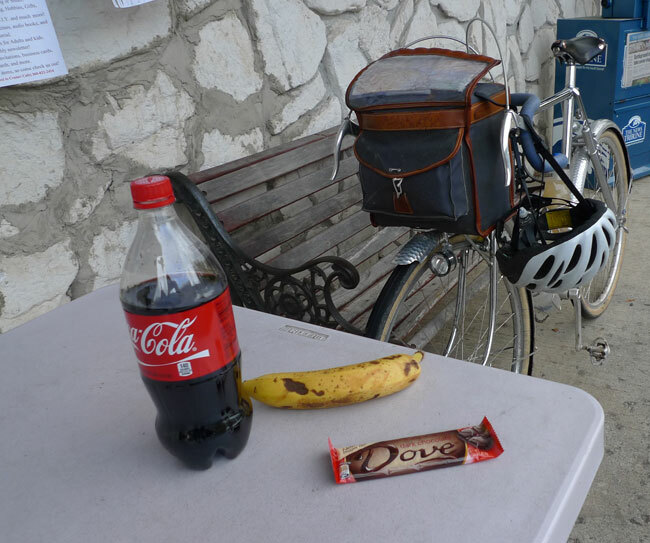 I plan to ride in more brevets this year, plus Paris-Brest-Paris if all goes well. A misconception, I think should have been high on the list is: You have to be old. Even though the age average is over 50. You do not have to wait to do it. Great article. I think one other misconception is that people are worried that they will be all alone. For the most part, that hasn’t been my experience, and I’m a back-of-the-pack rider. Almost all the time, just by slowing down a little bit, someone will catch up and then you can ride with them. Your best companion may be just 1/2 mile (a couple of minutes) behind you. Not true on every event, everywhere, but in ten years there have only been a couple events where I rode solo for most of the event, and that was because I was pushing as hard as I could and didn’t want to slow down. Other riders were an hour behind and I didn’t want to wait that long. The trick to doing well in brevets is encouraging a good match in this Assortative Mating process! I basically agree with you, but it’s important to make sure they’re only “a bit stronger”. If you go out with riders who are a good deal stronger, then the temptation is to try to hang with them, which works right up until you bonk. After that, you get dropped anyway but now you can’t even ride with slower riders who you’d normally have no trouble riding with. Making for a very tough day 🙂 It can take a while to learn not to let the adrenalin and enthusiasm at the start of a ride not carry you away to overcooking it. Ah well, whatever we’re called we’ll just keep on pedalling along enjoying the sights, sounds, smells and feelings that are all so enhanced at 2:00 AM after twenty hours in the saddle. Surely nothing beats a full moon over the ocean, unless it’s a crescent moon peeking out over the forest just before sunrise on the way home. There is no direct English translation of the French term “randonnée”, which loosely means to go on a long trip, tour, outing, or ramble, usually on foot or on a bicycle, along a defined route. A person who goes on a “randonnée” is called a “randonneur”. (The correct French term for a female participant is “randonneuse”, but such distinctions are often lost in America, where we tend to lump everyone together). In cycling, it means a hard-riding enthusiast who is trying to complete a long randonnée inside a certain time allotment. Note that a randonnée is not a race. Overall, about the only thing being first earns is some bragging rights. It is not uncommon for the last finishers to get as much applause as anyone else. Indeed, there is much camaraderie in randonneuring. One does it to test oneself against the clock, the weather, and a challenging route – but not to beat the other riders. In comparison to other forms of competitive long-distance cycling, such as at the Race Across America (RAAM), where there are following cars with crews supporting the riders every inch of the way, randonneuring stresses self-sufficiency. Help can only be given at the checkpoints along the route, so support crews (if there are any) must leapfrog the rider. Any rider caught receiving assistance from a support crew in-between checkpoints (or, “contrôles” as they are commonly called) will be subject to a time penalty, or even disqualification. Randonneurs are free to buy food, supplies, or bike repairs at any stores they encounter along the route. Once riders have successfully completed a 200-kilometer “brevet”, they are entitled to be called a “randonneur” or “randonneuse”. So I guess the answer is “no,” at least not until you have done the one organized brevet. I don’t think RUSA has a monopoly on defining “randonneur”. In fact, the term appears to have been coined by Vélocio in the 1880s or 1890s, long before organized randonneuring existed. I’d say that anybody who rides long distances with a focus on the ride itself, rather than as a simple means to getting places, is a randonneur. Perhaps not a “RUSA-sanctioned randonneur” though. In plain French “randonnée” is a hike, often a day hike, in a natural setting, where you follow a planned route, and do it for pleasure or for exercise (so if you walk to work you wouldn’t call it a randonnée, and neither if you explore London on foot). Randonnée à vélo is the equivalent on a bike, ski de randonnée means going off piste with sealskins, etc. Major endurance is not a necessary component, but it should take all day or most of a day or several days. Organized structure is definitely not implied. Very good article I never thought about the driving to the start point, it is just what you have to do to do it. Sleep deprivation is IMHO less of a problem than people often think. In my case I’ve had exactly zero hallucinations, but admittedly did fall asleep (for a few seconds) during the last PBP I rode. This happened on the downhill from Roc Trevezel towards Brest, the first significant chance to coast in 500+ km. The mind wanted the eyes to stay open, but the body did not. Fortunately I did not crash. The biggest problem with longer randonnees (600+ km) is sitting on the bike for so long IME. If all is not virtually perfect overuse injuries (= nerve damage) can result. Take great care to get setup right, test everything well before longer rides, get out of the saddle and change hand position often, and DO NOT press on regardless if totally wiped out. A few hours sleep can do wonders for one’s speed, and can drastically reduce the likelihood of other problems. Long downhills at night are challenging, and I try to avoid them. 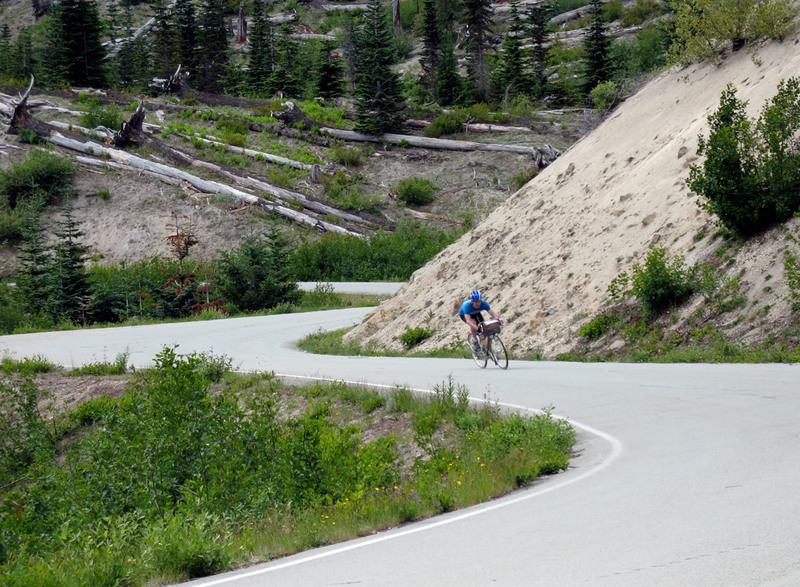 When you aren’t pedaling, you are more likely to get sleepy, unless there are many turns to keep you awake. If I start to feel sleepy, I stop and close my eyes for a while. Interesting: as a velomobile rider of brevets I find the slow tedious grind of nighttime uphills put me right to sleep; conversely, downhills are so fast it stimulates me to wide awakeness. I am a person who has done centuries, and I’d love to do longer rides, so all these comments are very helpful. 1. No support of you get stranded. I would hate to have to call my spouse to come drive 4 hours to come get me if I couldn’t fix whatever broke on the bike. 2. Long rides in cold weather- while I have done centuries in shorts and a TShirt in warm temps, I don’t think I’ve ridden more than 40 miles in 50°F weather. I’m not sure I have my cold weather clothes optimized for 8 hour rides in 50°F. But I have a feeling, if I just dive in, it will all work out and be so much fun. Yes, if you just dive in, it will work out and be great fun. Start out with a 200 km ride on a day with a reliable forecast for dry, warm weather. Bring a wool sweater and some tights, plus any wool or ski gloves, just in case, and you’ll be fine. 1. Mechanical failures are 98% avoidable with good maintenance and good equipment choices. Go over your bike carefully before the first brevet. If your bike can survive three 40-mile rides, it also can survive one 200 km ride. 2. Clothing is key. Unlike the rest of long-distance riding, it is possible to get “trapped” by a season of nice-weather rides, and then show up at a big one and face rain and cold. (PBP 2007 comes to mind.) Wool clothing works best for many riders. These days, it’s pretty easy to equip yourself fully for a mountain ride in freezing temperatures. So do jump in and learn as you go. Don’t start with a September 600 in the mountains, and you’ll be fine. If you are looking for more information, check out Bicycle Quarterly‘s “Randonneuring Basics” series. Thanks for the encouragement and pointer, Jan! I really enjoy these kind of threads! I’m the RBA for DC Randonneurs. If you can ride a century then you can ride an extra 25 miles and make it a 200km. Our first 200 this year is in March and it is pretty moderate terrain. As to your concerns, Jan has good advice about the clothes. And if you let your concern about calling your wife be an incentive to keep your bike in good repair, then chances are you won’t need to call her, and she’ll understand if you do. So far, in a decade of randonneuring and over 50,000km, I’ve only had to make that call a couple of times, once because of a knee injury and once because of an unexpectedly big snow storm. Come out and ride with us, things will work out. Thanks for the encouragement, Nick! It does sound like it would be a blast. I’ll contact you through the DC Randonneurs site. Re: the option of starting a brevet series locally, how would one go about that? Does there already need to be a formal established cycling club of some kind in the area? I live in northern Wisconsin where the road (and gravel) riding is very sweet with lots of quiet, curvy, shaded back roads. I did my first 200K brevet with the Minnesota Randonneurs this past summer and I didn’t enjoy it, mainly because of the course. The first and last 10 miles were on a busy, four-lane highway and many of the roads were straight for long sections with absolutely no shade. I found my motivation to continue with the Minnesota brevet series dwindling after the 200K. Their series is the closest to my location. I guess I’m spoiled by the wonderful riding where I live. Any tips you could provide in starting a brevet series would be appreciated. Also, re: night riding, I’ve never done any and I can certainly understand the magical feeling of riding under a full moon, but my thought has been that I’ll miss seeing the beautiful countryside that I’m riding through at night (especially if there’s no moonlight) and that bothers me. I am sure some of RUSA’s officials will chime in regarding the logistics of starting a new brevet series. Night riding: You do lose the scenery, which is an incentive to return to the course during daytime later. It’s just like all those beautiful places you pass on brevets that you want to return to and visit later. Touring, randonneuring by day and randonneuring at night are all different, and you gain something and lose something as you move between them. To me, they all are equally appealing. 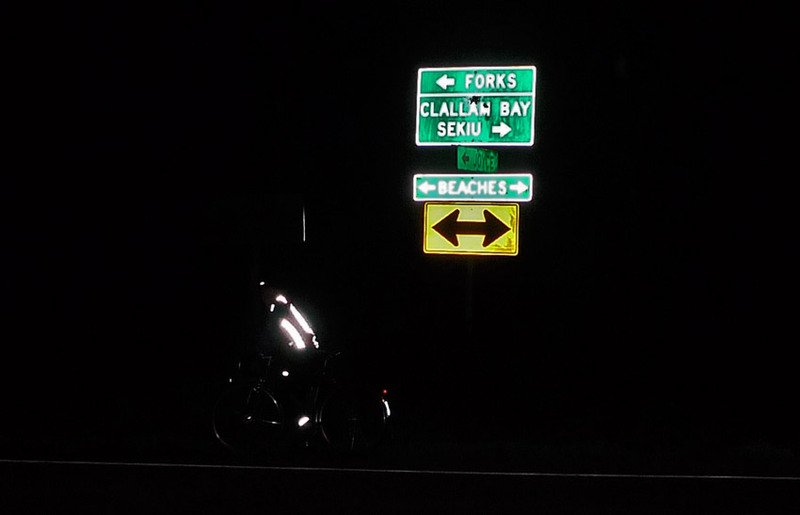 Jan – Thanks much for the info on organizing a new brevet series (and the fact that there is now a new region in SW WI) and for your perspective on night riding. As a “baby step” toward setting up a series, you could set up some permanents in your area. At the very least, they give you a chance to work toward some of the RUSA awards while riding a route that you know you like. And you can see if others want to come ride them. Plus, they make a nice “inventory” of routes that you can (most likely) easily get approved as RUSA brevet routes when the time comes. Potentially, if you’re interested in organizing an official brevet on that route, one of your local RBA’s might be interested in having you organize a ride under their jurisdiction. Nick – Thanks for the great suggestion. I will definitely look into doing that. Very interesting post, thanks, had no idea randonneuring exists in Poland too, but I’ve just found info on net that it does.